Welcome back my crafting friends! Today I have a sweet and easy little tutorial to share. Here is how I created these simple Creative Photo Corner Sunflowers. 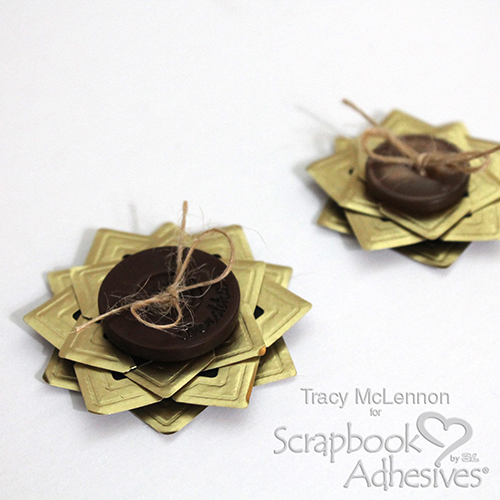 I love to create quick and easy embellishments that I can add to future projects. 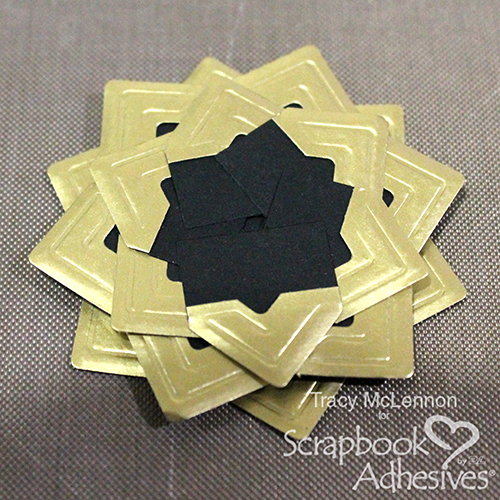 Here is the complete tutorial on how you can create these sweet and easy Creative Photo Corner Sunflowers. 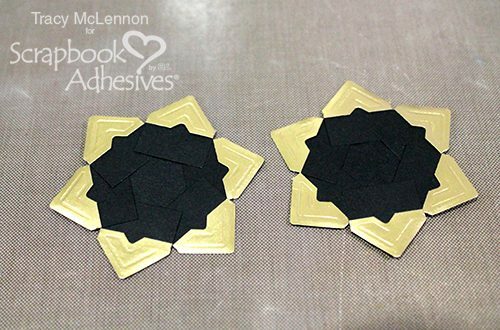 First of all, I cut out two 1.5″ circles from black cardstock. 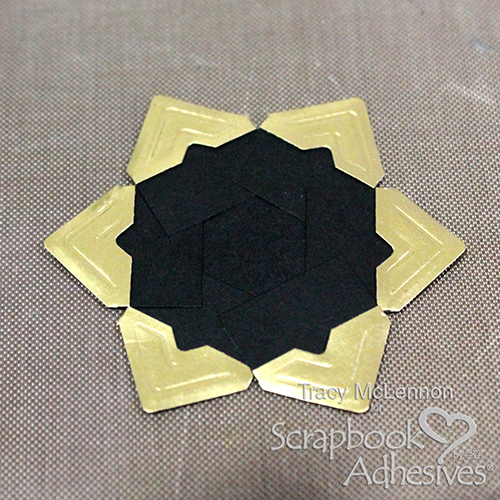 Then I started adding the Gold Creative Photo Corners around the circle. 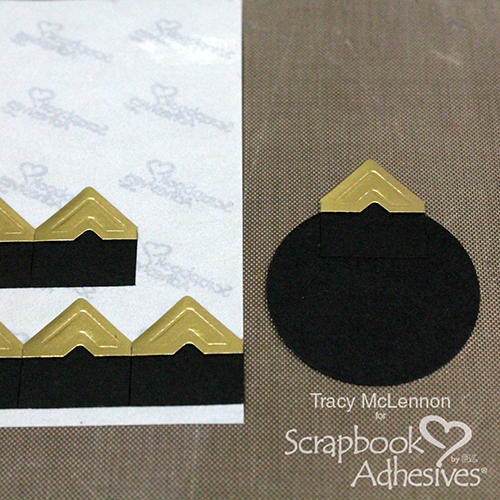 You can see below how I lined up the gold edge with the edge of the black cardstock circle. Then in the next photo you see that I add the next Creative Photo Corner right next to the last and continue. With the 1.5″ circle, you should be able to fit 6 Creative Photo Corners around. Do the same with the second 1.5″ circle. 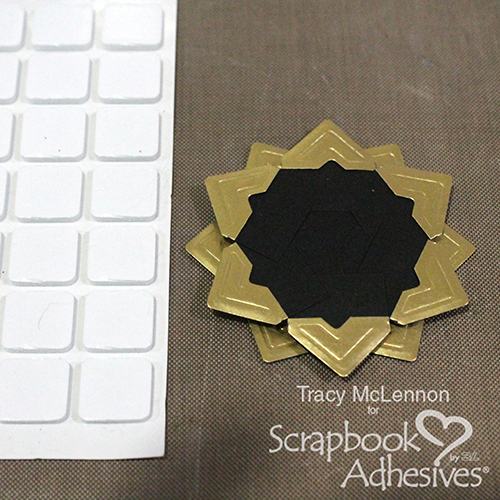 Adhere these 2 circles together using 3D Foam Squares White Regular. Using a 1″ cardstock circle, repeat the same process overlapping the Creative Photo Corners just a little bit more than before. 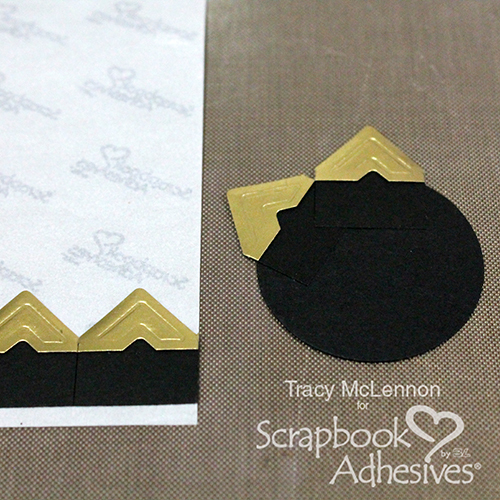 Adhere that smaller circle directly to the layers below using Adhesive Dots Medium. 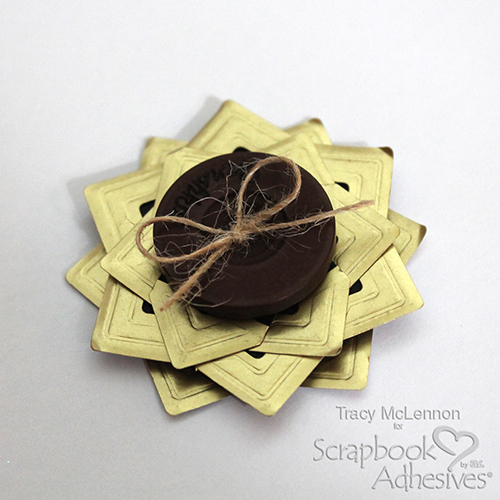 To complete the sweet and easy Creative Photo Corner Sunflowers, I added a large brown button with a burlap string bow tie, using Adhesive Dots Medium. This entry was posted in Adhesive Dots & Lines, Adhesives, Beginner, Crafts & Tutorials, Creative Photo Corners, Embellishments, Permanent Adhesive, Scrapbooking, Tutorial, Wear your Adhesive on the Outside and tagged 3D Foam Squares Regular White, Adhesive Dots Medium, Creative Photo Corners Gold, Tutorial, Wear Your Adhesive on the Outside. Bookmark the permalink.